Smoking starts August 25th on Netflix! A little bit of laughs today to bring some comedy into your boring summer Monday! 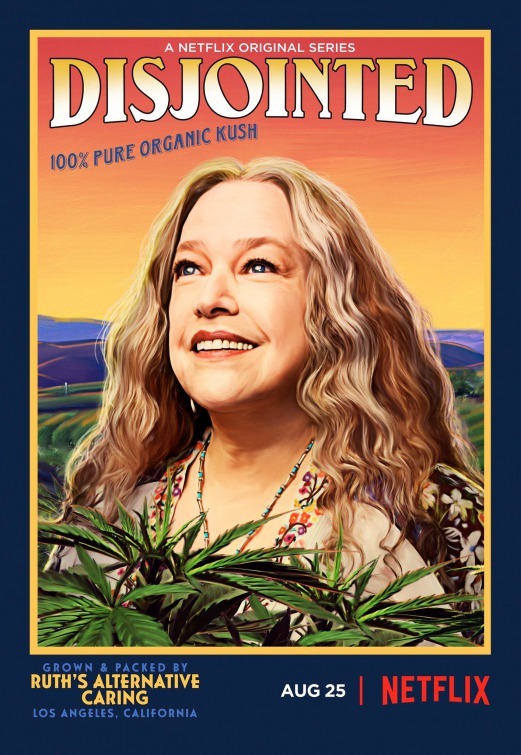 Netflix has released the first trailer for their new multi camera sitcom DISJOINTED starring Kathy Bates, which starts airing this month, August 25th! Kathy Bates and Tone Bell as her very troubled security guard! "budtenders" to help run her Los Angeles marijuana dispensary. Twenty episode comedy also stars Tone Bell, Aaron Moten, Dougie Baldwin and Elizabet Alderfer! Check out the trailer below, it looks terribly unfunny! Really looking forward to Disjointed. I am sure I will like it much better than Weeds (which started out good, but quickly went downhill after season 2). I've always like Kathy Bates, so I am hoping she doesn't disappoint here. I didn't laugh either, but sometimes you can just love a show without a lot of humor in it as long as you find the characters endearing. Hope that's the case here! fingers crossed, I'm hoping the same for Marlon which starts this evening! Let us know what you think of Marlon. I need a few laughs to lighten the day! you always bring lots of entertainment in our day .